A new study from the Stanford Latino Entrepreneurship Initiative (SLEI) shows that while the proportion of Latino-owned business is expanding in the U.S. at a rapid clip, an opportunity gap is hampering what could be over a trillion dollars worth of economic activity. 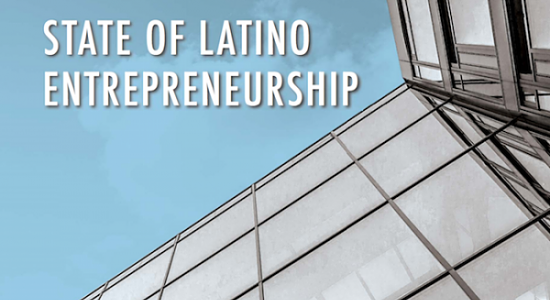 The new report from SLEI, an organization dedicated to empower Latino entrepreneurs through research and a massive database of 1.4 million Latino business owners, found that while Latinos have the entrepreneurial drive, the funding opportunities for Latinos to grow their small businesses into stable, successful companies is particularly lacking. The result of the closing the "opportunity gap," according to the "State of Latino Entrepreneurship" report released on Wednesday, would be a huge asset for the U.S. economy: approximately $1.4 trillion in economic activity. The report found that as the Latino population is growing towards an estimated 30 percent of the U.S. population by 2060, the number of Latino-owned businesses has exploded. In 1997 there were an estimated 1.2 million businesses founded and owned by Latinos. By 2012, those numbers more than doubled to 3.3 million, or about 12 percent of all businesses in the U.S. But the size difference between Latino-owned businesses, compared to those owned by non-Latinos, is still a problem. SLEI found that the average sales of a Latino business in 2012 totaled about $156,000, while the average non-Latino business was several times higher, at approximately $573,000. And more than half (54 percent) of the Latino entrepreneurs surveyed had businesses affected by slow growth, stagnation, or diminishing returns. SLEI interviewed a two panels of Latino business owners to learn why there was such a stark gap in the size and growth of Latino and non-Latino businesses, and the initiative reported a couple of interesting root causes. The first was psychological, relating to the particular type of entrepreneurial drive common amongst the over 2,000 Latino business owners that took part in SLEI's panels. The report found that Latino entrepreneurs tended to be motivated mostly by internal factors -- not market-based or economic. Latinos were more likely to be in business for themselves as a means of building something to pass to their children, or because working with family and friends was more personally rewarding, or for reasons of financial independence with an eye towards the future. But those personal reasons also contributed to capital and ownership decisions. 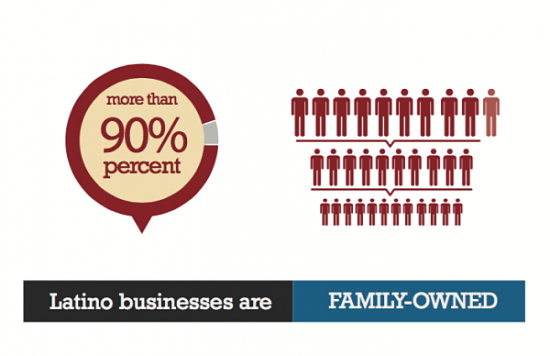 Businesses founded by Latinos were more likely to be family-owned, with only eight percent of them not family-owned, compared to 15 percent of non-family-owned businesses in the general population. For another practical example of the impact of Latinos' particular entrepreneurial bent, while over half of Latino business owners believed they could grow their companies faster if they had an influx of outside capital, a full 67 percent were concerned about losing control of their business if they brought in partners or sold shares to investors. The other major reason for the opportunity gap is something that policymakers and the business world can change: simply a lack of funding opportunities. SLEI found that Latino business owners were more likely to use credit cards for funding rather than banks and other institutional capital sources. But a big reason for that, the report found, was about two thirds of Latino business owners had tried to apply for funding and been turned down, mostly by banks. Nevertheless, the outlook for the future of Latino businesses is promising, according to Sol Trujillo, a successful entrepreneur and member of Stanford Latino Entrepreneurship Initiative's board. "The glass is half full -- how do we get it fuller?" said Trujillo to CBS News. "What's missing as a next layer is access to what we could call the angel investor network. Latinos for a lot of reasons haven't had access to them. We're looking to build out those ecosystems."